January is the start of our basketball season; unfortunately, there was not enough interest from the girls to field a team but the boys have been practicing and are raring to go! Students in grades six through eight are eligible to play on our extra-curricular teams. A schedule has already been emailed to players. We practice primarily on Tuesdays after school and play on Wednesdays. 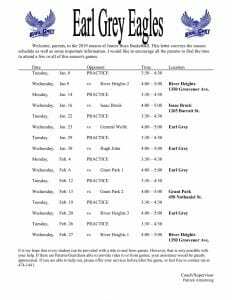 The first game of the season was January 9th and it will wrap up at the end of February. I would like to remind parents and students that proper clothing and footwear are necessary for safe participation in all physical education activities. If you would like to talk to me about anything regarding your child’s physical education experience, please phone me at the school or send me an email! Our first term of the school year is almost complete. Elementary classes have completed their F.M.A (Fundamental Movement Assessment) and have been learning/practicing basic movement and fitness skills as well as some sport specific skills. The junior highs have completed tennis and fitness testing units and are currently learning about volleyball. Our intramural program is now in full swing. Participation has been great but just to remind everyone, our grade 6-8 students attend on Tuesdays and Thursdays. The grade 4-5 students come on Wednesdays. Intramurals begin at 12:20 in the gym and students can stay right to 12:55. The girls’ volleyball team has enjoyed some success during their season and are learning the not only the skills of volleyball but also how to work together as a team. This is the second year the school division has played Triple Ball. Triple Ball is a modified version of volleyball designed to better teach the skills of volleyball. The season ends November 20th with their final home game; come and watch! If you would like to talk to me about anything regarding your child’s physical education experience, please phone me at school or send me an email (parmstrong@wsd1.org)! Volleyball was originally called Mintonette, because of its similarity to Badminton. It also has some elements of tennis and handball and even baseball because in the original set of rules there were 9 innings with three outs (serves). Colorful terminology is no stranger to volleyball as evident by such terms as a pancake – when the palm is flat on the floor and the ball pops up and play continues; a kong – when a player gets a one-handed block: goofy – when a player jumps with wrong foot first (while attacking); and joust – when the ball is falling directly on top of the net, two opposing players jump and push against the ball, trying to force it on their opponent’s side. One month of school already complete! Where does the time go? In the gym we have spent the first month of school talking about (and modelling) the rules of the gym. Another facet of those conversations (and activities) is the idea of creating a positive learning environment in physical education classes; what kind of environment contributes to a positive and successful learning opportunity. Ask your child what environment contributes to their success in the gymnasium (or on the field). In the primary and intermediate grades, we have begun our Fundamental Movement Assessment. The data obtained from that assessment helps to drive future lessons. For example if a large segment of the class is having difficulty in jumping then I can spend more time working on that skill as a class. If one or two students are struggling in a particular skill, I can concentrate on providing a little extra support to those students. If the majority of the class is “independent” at a skill we can move along faster. The junior high students have been learning the skills and knowledge of tennis. They are now participating in an orienteering unit and will soon start a unit on volleyball. The elementary students will focus on movement games and be introduced to volleyball skills once E.A.P. testing is complete. A reminder to parents (and students); students in grades four and up are required to change for physical education classes. This means that students need to have a pair of shorts or sweat pants, t-shirt, and running shoes to change into and out of for physical education. These should be carried in a gym bag and should be taken home each Friday for cleaning and brought back again on Monday. Students who do not change for class are required to complete a written assignment before re-joining the class and in some cases where safety may be an issue (i.e. flip-flops or boots) they will not be allowed to participate. If you would like to talk to me about anything regarding your child’s physical education experience please phone me at school or send me an email (parmstrong@wsd1.org)! If you would like to see some of the things going on in the Earl Grey gym, please consider following the gym on Instagram or Twitter (@earlgrey_pe).